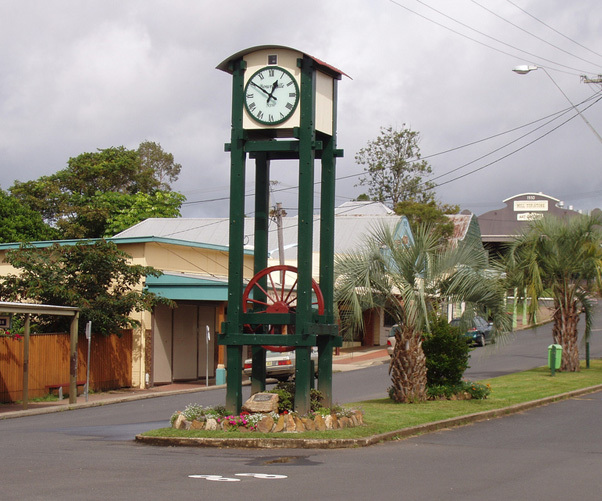 The Lions Club of Bowraville engaged us to install a new town clock in the centre of Bowraville, replacing an aging system which had two small clocks. The new design incorporates large, clearer dials with the town’s name sandblasted into them as well as illumination at night. The Lions Club have also installed a webcam on the tower which streams the activity in the town live on the internet.